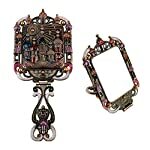 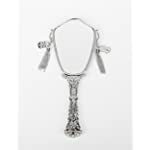 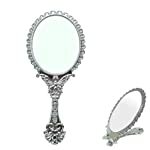 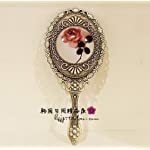 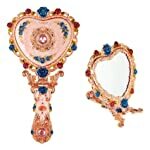 Size: 8.8"x3.9"; Material: Metal,Glass,Rhinestones.Net weight: 199g. 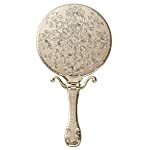 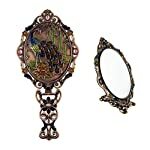 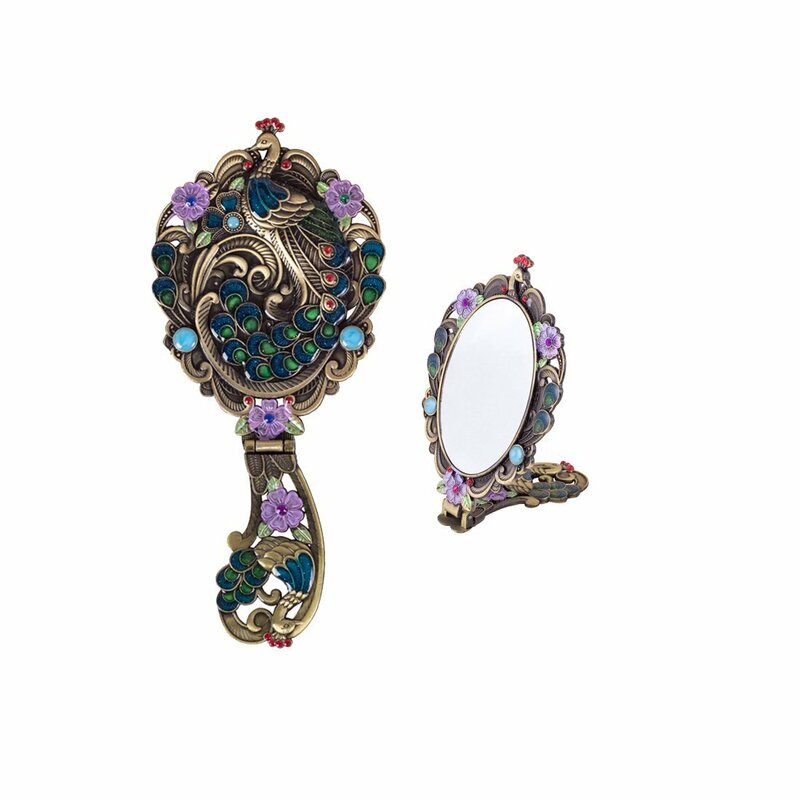 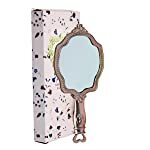 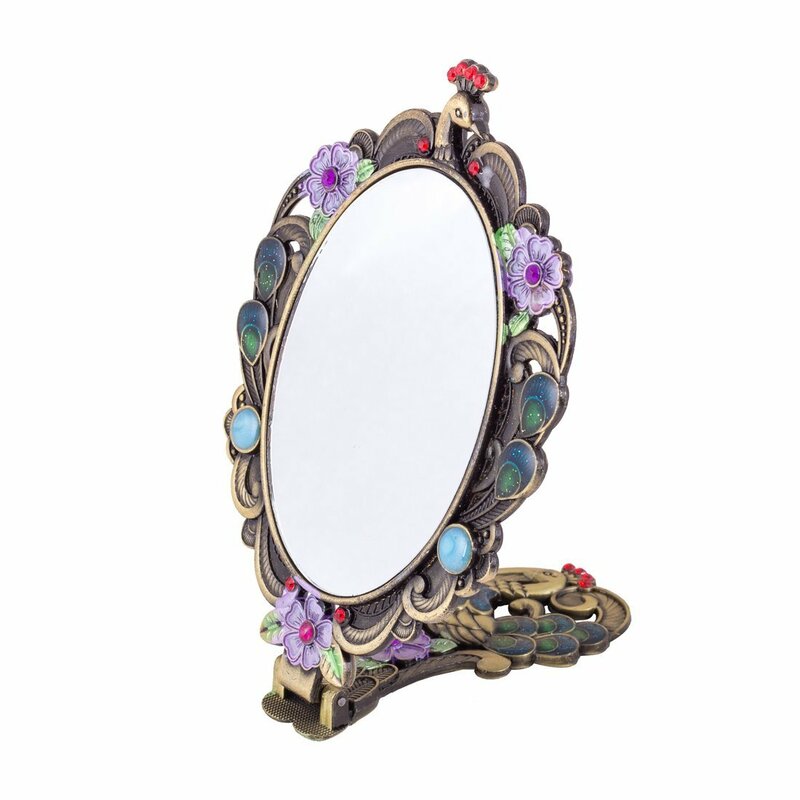 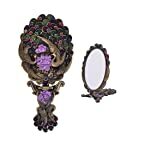 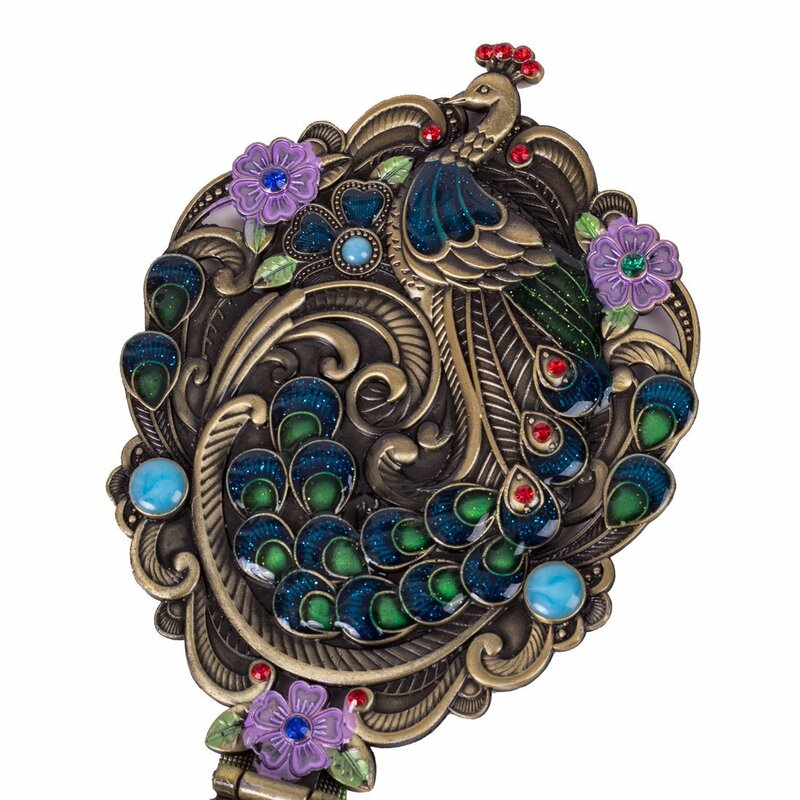 Vintage style peacock pattern makes this mirror elegant. 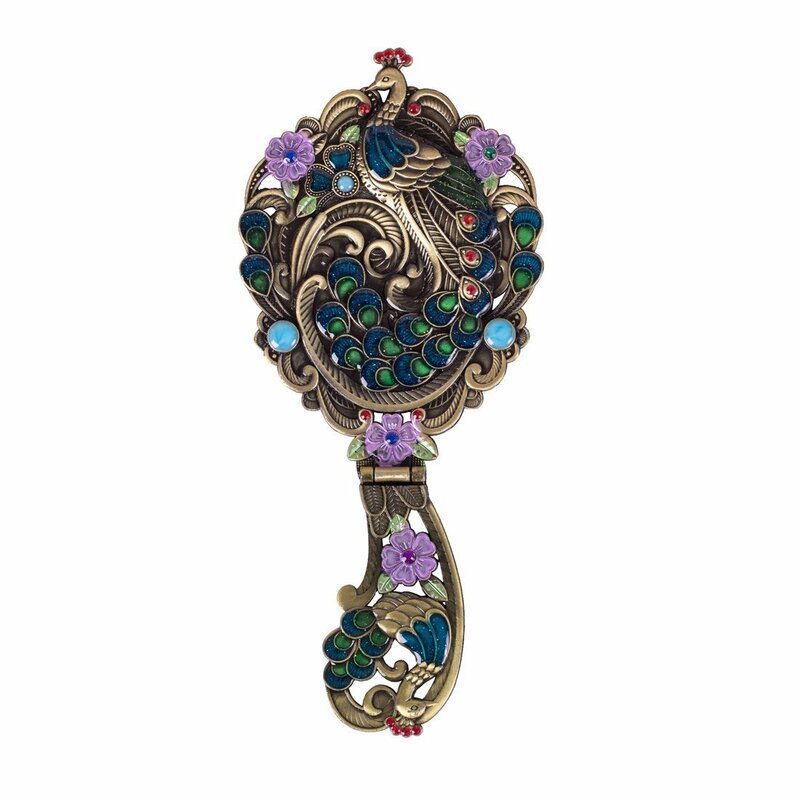 Hand enameled with good craftsmanship. 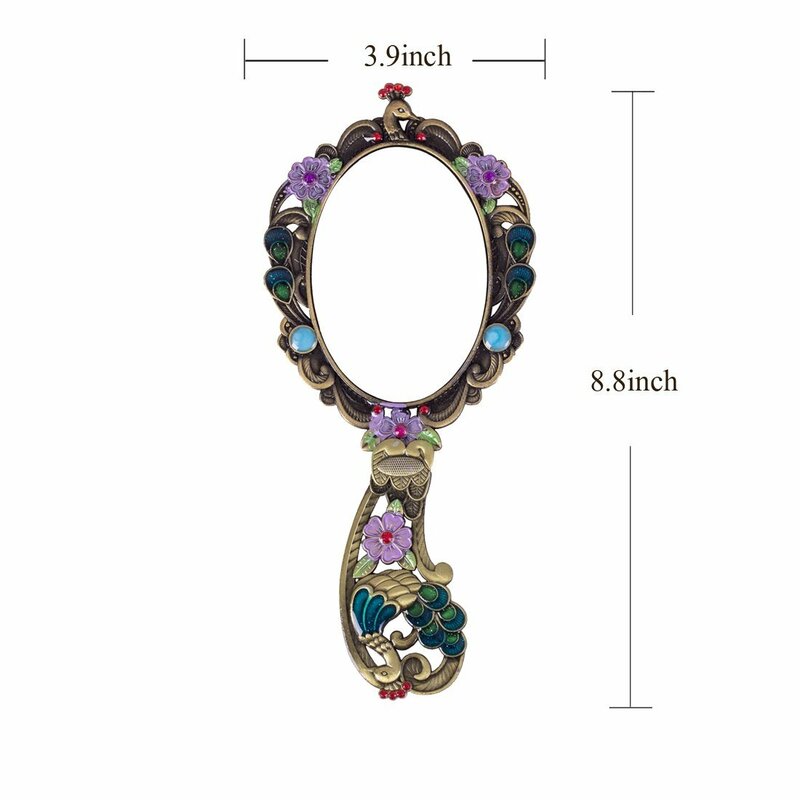 Proper size for travel & home. 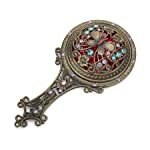 A great piece in your handbag. 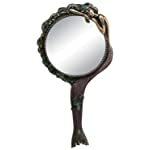 Also, the mirror stands on surfaces while folded. 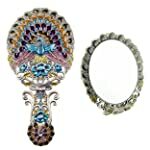 Will come in a giftbox. 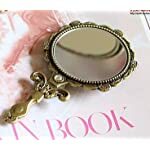 A perfect gift for girls and women.